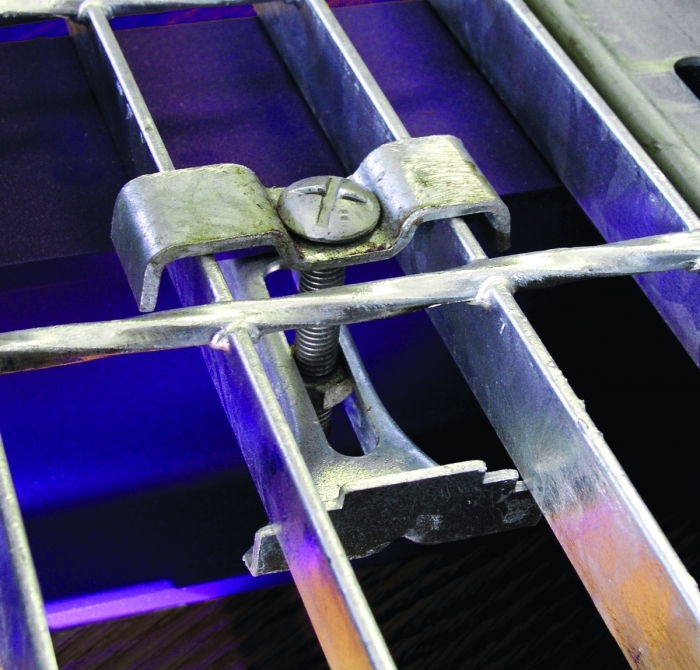 The Grating Clip fastener by BeamClampis a cost effective method of securing steelgrating to existing structural steel members.Clamping the grating eliminates costly and timeconsuming welding and drilling. Access belowthe grating is not required, resulting in a quickand simple installation. The Grating Clip fastener can be installed with a screwdriver and can be easily removed allowing the grating to be repositioned or removed for maintenance purposes. The Grating Clip fastener will suit grating bar widths from 1-3/16? to 1-5/8? and grating bar depths up to 2? to ensure that most standard grating sections can be accommodated. This product is supplied with a galvanized finish.